Rate this Article Star Stable offers a safe and fun virtual world for your horse-loving child to enjoy. Here are the best reasons why it's great for your kid. Star Stable offers a safe and fun virtual world for your horse-loving child to enjoy. Here are the best reasons why it's great for your kid. If you’re wondering whether there are wholesome and safe simulation games for your child, then Star Stable might be just what you’re looking for. 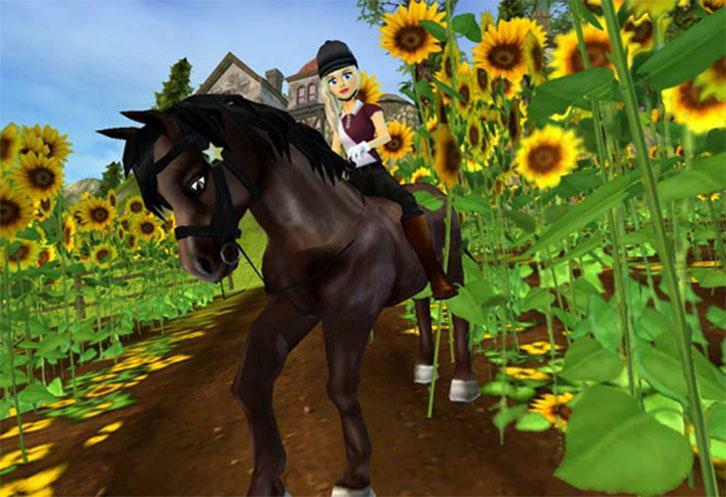 It’s a horse-riding virtual world that lets your child take care of her own horse and ride into races and accomplish other important tasks. Here are some examples of how Star Stable might be beneficial to your child. Star Stable’s graphics are the best of its league. Here, your child will enjoy creating her own horse, as well as riding along scenic locations and exploring different terrains. Animations are well-rendered and it’s as close to the real thing as a game can get. This game is definitely not the basic browser or mobile games that your child might have gotten used to. There’s also zero violence in this game, and the quests your child takes on never implies to get anyone hurt or killed. Since some quests in Star Stables involves joining races, your child’s competitiveness will be challenged and encouraged. There’s even a dialogue between players before the race to help build up the rivalry, although in a light-hearted manner. Races are done in varying racing courses, and they’re designed to match the horse’s skill level within the game. Your child and her horse will have ample time to prepare before a race, and she can always try racing again if she fails to complete her first round. When your child does well in races, she might find herself on the top of the rankings along with other players. Players can choose a horse breed and assign a wholesome name by combining two safe and game-provided words. Your child will enjoy the many clothes and accessories they can buy for their characters, as well as for their horse. Once your child earns enough in-game currency, they can use it to buy items from different shops that sell clothes and riding accessories. In this game, all tasks are rewarded with the game’s currency called Jorvik shillings. Each shilling paid to a player is earned by doing assigned tasks, something that’s very similar to the real world. Star Riders (those with paid membership) are also given a weekly allowance that they can spend however they want. Your child will need to manage her money to meet her goals, and that’s not always easy. You can relate this to real-life situations, where it’s important to spend money wisely. Your child will learn to be responsible not just for herself, but also her horse. The game’s first few tasks is centered on caring for the horse, from feeding to grooming. There’s also a reminder to have a consistent caring routine for the horse so that he remains healthy and strong. While other tasks might vary with each turn, there is a ceaseless need to care for the horse. This will teach your child to be in charge of her horse’s needs at all times. Star Stable can demonstrate the concept of a community and everyone working together for a primary cause. In this game, your child is tasked to help Moorland Stables from being acquired by a sly corporation called the G.E.D. Mr. Moorland, the stable owner will assign certain quests for your child to help him stop G.E.D from carrying out their unlawful plans. This storyline shows your child to work with others to help accomplish an important and urgent goal. In the stable, she can check the Community Board, where she can look for odd jobs to help others. The in-game chat app is monitored for language and age-appropriate content. Using a software called CrispThinking, the game developers promise a safe and fun virtual environment for interacting with other players without fear of negative or threatening language. Here, you can be sure that your child will not experience harsh or profane language when interacting with other players. Star Stable is great for school-age kids who have a strong interest in horses and virtual world games. More than having a horse to take care of, the game fosters problem solving and an adventurous spirit. For a parent, this game gives you peace of mind that your child is playing in safe and fun world where she can interact with others and play without fear or danger.